Oberoi Mall, Mumbai’s landmark shopping destination located in Goregaon, will be observing Earth Hour on 30th March from 8:30 pm to 9:30 pm. In keeping with Earth Hour’s mission to help create a Greener Earth, Oberoi Mall will be completely shutting off the facade lights and keeping its common area with minimum lights during the Earth Hour this year. 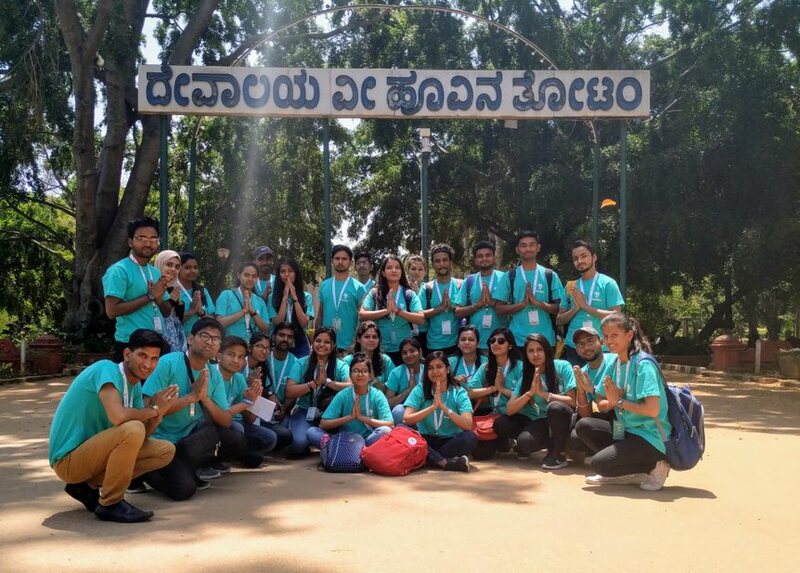 A global initiative of the World-Wide Fund for Nature India (WWF),Earth Hour is aimed at energy conservation and creating awareness about the impact of climate change on our planet. 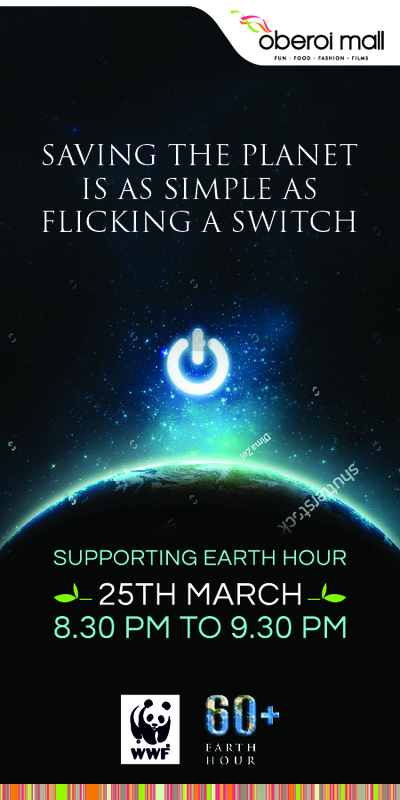 It is observed across the globe with homes and businesses switching off lights for an hour. Oberoi Mall has been actively doing its part towards creating a sustainable environment by using Natural Daylight through transparent roof, LEDs in basements and floors, rain water harvesting,bore-wells, sensor-based wash basins and urinals, etc; and the Earth Hour is one more step in this direction. With this initiative, the Mall targets to save approximately 80 KW of power in an hour. The Earth Hour started in Australia in 2007 and is today being observed by millions of supporters in more than 187 countries. This initiative is now the world’s largest grassroots movement for the conserving environment, inspiring millions to take action for our planet and nature. Accelerating climate change and staggering biodiversity loss threaten our planet and the Earth Hour endeavors to spark never-before-had conversations on the loss of nature and the urgent need to protect it. Oberoi Mall has joined the journey this year with a goal to generate more awareness about the initiative amongst its patrons.